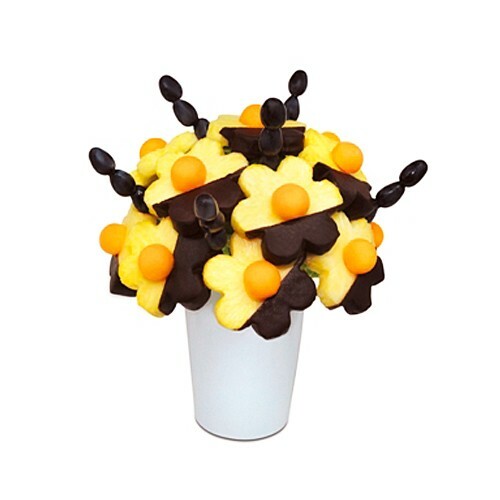 Wish your loved ones a bright day or express your feelings of love with this stunning pineapple daisies bouquet dipped in gourmet Belgium chocolate. - Delivery to Greater Beirut up to Jounieh areas only. - Cannot be ordered with another item, it must go alone. - It must be ordered at least 48 hours prior to delivery date. Special Conditions Cannot be ordered with another item, it must go alone, Vase may vary depending on availability.